For nights after discovering this skeleton, I had trouble sleeping. Couldn’t get the image out of my head. Instead, I extrapolated back to this horse’s final days – it died a pointless and likely painful, drawn-out death, getting tangled in branches by its blankets. Ridiculously, it had on two. Pep and I found it while bushwhacking in the Oquirrh foothills. 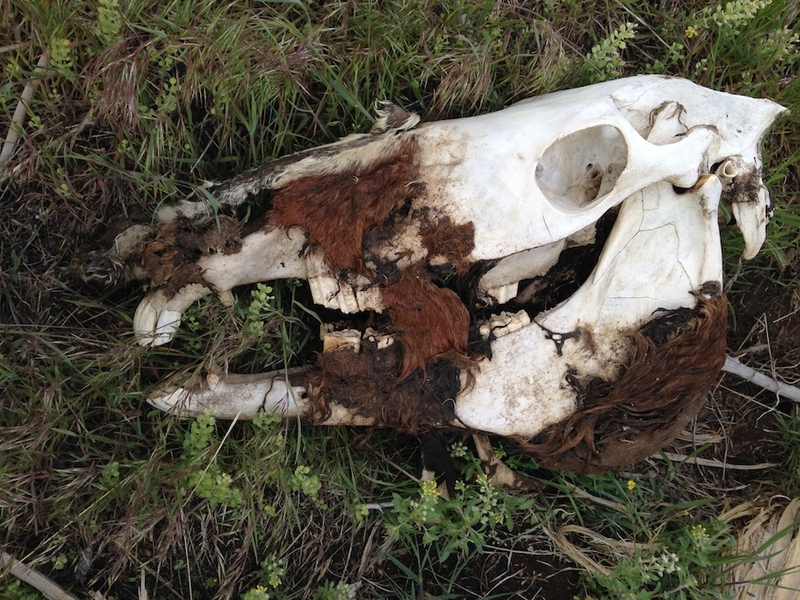 Best guess says this poor horse died two winters ago. The carcass has been picked clean and decomposed enough for that time frame, but not longer. There is still hair on its face and other parts. It was in a dense mass of scrub oak, downhill from ridge leading towards Butterfield Canyon, maybe two miles from the nearest home. After dismounting, I got entangled just getting close enough for photos. It was wearing the horse blankets and shoes on all fours. Why, oh, why didn’t his owners search harder? Coyotes and cold, perhaps. I’ll never know. I do know this horse’s fate can serve as a heads-up for all of us horse owners and horse lovers. 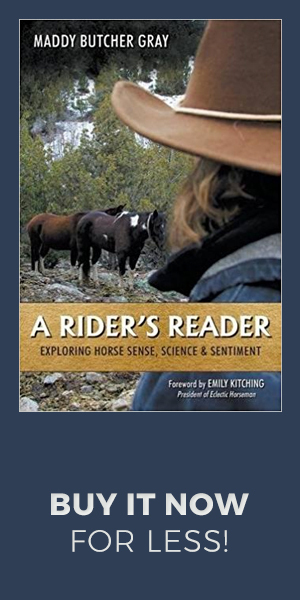 What would you do if your horse took off, got loose, or disappeared? What steps can you take to prepare for such a scary scenario? 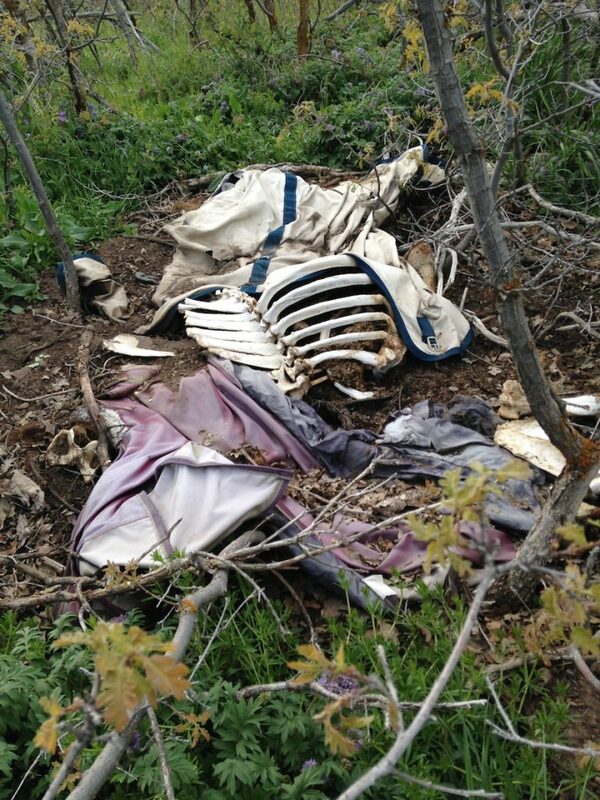 Posted in Equine Safety, Equine Welfare, General, On the Trail, Utah and tagged dead horse, horse skeleton. I don’t blanket. This is beyond heartbreaking. I was thinking what about reflector tape like we have to have on life rings and life jackets or possibly pull away ties for blankets that pull off, or GPS patches in halters or blankets. Just some ideas off the top of my head. Reflector tape can be seen through brush. Maybe look into some marine safety stuff. If it helps see a human in the ocean it may help to spot a horse in the wild. Great ideas, Heather. Thank you! My issue with anything a horse wears, is that it can encumber the horse and snag and end up hurting more than helping. In water, this isn’t too much of an issue. In the woods, it can be. Thanks again! Understandable why this find left you with some sleepless nights. The shock of finding the remains must be horrific compared to us reading about it and seeing the pictures. My first thought was I wouldn’t have to worry about such a thing. I focused on your pictures and the geography of where you live and thought easy solution. I’d hire a pilot/plane and do daily aerial searches until the lost horse was located. 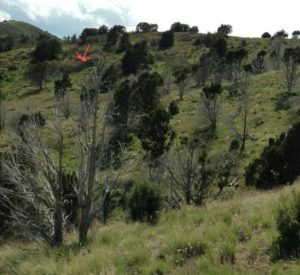 I felt good about my proposed plan until I thought about the pictures you’ve taken and how difficult it was to spot all the horses in a much smaller area than the vast area one would have to search for a lost animal. Mother Nature has so many things that easily disguise the obvious. Then I came to the realization I live in and am surrounded by The Hockomock Swamp. Hockomock is an area that encompasses six towns’ 16,950 acres of land, wetlands, ponds and dense woods. That reality shattered my idea of an aerial search and rescue. So now I have no words of wisdom but no longer think that it couldn’t happen to us. Thank you for sharing this story and making us ponder a subject we never considered. We’ll be giving some serious thought into how to best prevent an escape and in the event of escape see if we can get a viable plan in place. If technology was/is available to GPS chip animals/pets like all my animals/pets are microchiped it would be done tomorrow. Nice comments, Marsha, as always. Thanks! This photo reminds me of finding a car wreck on an island. If no one sees it happen did anyone suffer? Yes….. death alone must be one of the most solitary and saddest events in animal and humans lives. How I wish that these last moments in ones being would never occur. If we could all do our best to make sure this never happen again perhaps we would all die in peace. Ahhh…so sad to see this, and sadder to think that “possibly” the reason for the horse being unable to return home could be the blanket that it’s human felt it should have on. Hopefully this will help horse folks to consider that anything you put on a horse, and leave them to their own devices, can end in a tragedy. I feel the same way about halters, that they should only be left on a horse when they are in direct care of a human. This reminds me of a time, long ago, when my dog’s collar got caught on a fallen tree and I ended up finding him several hours later. It helped me to know that my dog wouldn’t be gone long or far and that he was vocal when I called. Of course, we can only speculate about this horse’s death, but it certainly doesn’t seem natural when left to die with a blanket (or two) on them. There are some horses listed on Netposse.com from Utah. The last one is from 2011. I don’t know if that is too long ago.